When I think about seasoning a steak, I firmly believe less is more. In my slightly warped world, eating a perfectly grilled medium-rare ribeye is just about nirvana. So as I savor every bite, there is always one thing I want to shine through, the meat. When grilling flavorful steaks such as strip, filet, or my beloved ribeye, I always go with a dry rub. A dry rub at its bare minimum can consist solely of kosher salt and freshly cracked pepper, but in all likelihood is a mixture of numerous spices, herbs, and flavors. 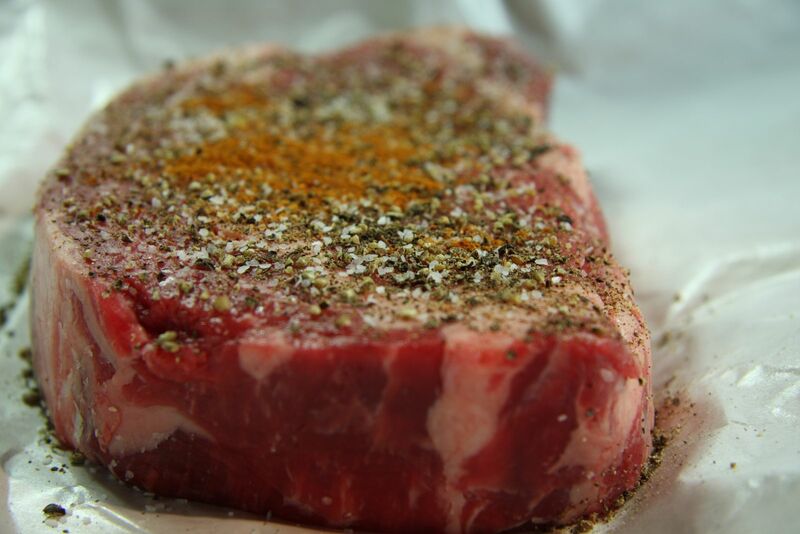 Dry rubs are added over the outside of the meat to enhance flavor in the crust, as the flavor is in the crust. 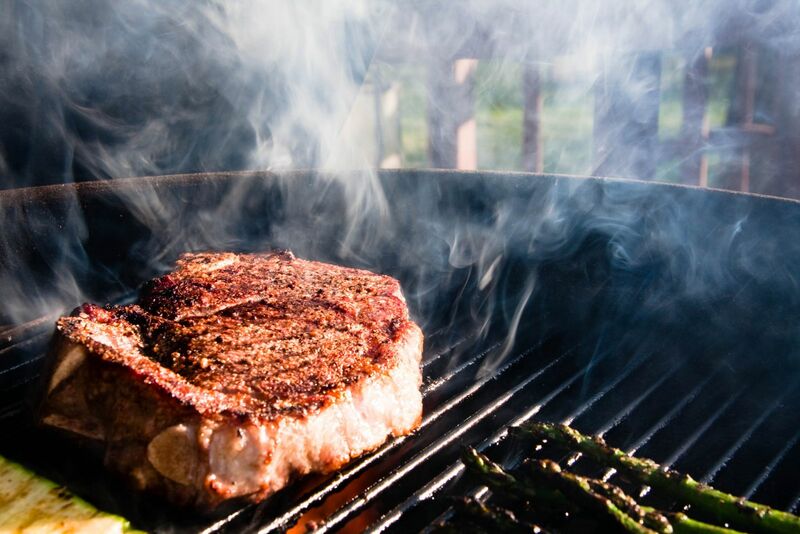 When heat is applied to meat, protein and sugar molecules, combine through what is known as the Maillard Reaction. This reaction is responsible for the browning of meat, as well as a flavorful crust. A great dry rub makes a crust. When grilling steak, my approach is what I call salt, pepper and a third. I use plenty of salt, plenty of freshly cracked pepper, and a third spice, which changes on my whim. Sometimes the “third" is paprika, sometimes it's granulated garlic, and other times it’s ground chipotles. The mixture, with an added brush of olive oil, adds just enough to heighten and accentuate the flavor, without hiding the main event, a perfectly grilled ribeye hot off my kettle. Another option for introducing flavor to steak is by use of a marinade. Marinades are a mixture of oil, an acid, and herbs. While marinades do not necessarily tenderize, they do penetrate the outer layer of meat with flavor. I like to use marinades when grilling cuts of beef like flank or skirt. To design your own marinade, start with the easy ratio of 3 parts oil to 1 part acid and any aromatics you happen to have on hand. For steaks, just a few hours in a marinade can transform dinner. While there is a lot we can do to add flavor to a steak, I stand by my less is more approach.